Child themes are extra designs & layouts you add-on to your existing PremiumPress business theme to change the look and feel of your website. We add new designs weekly! 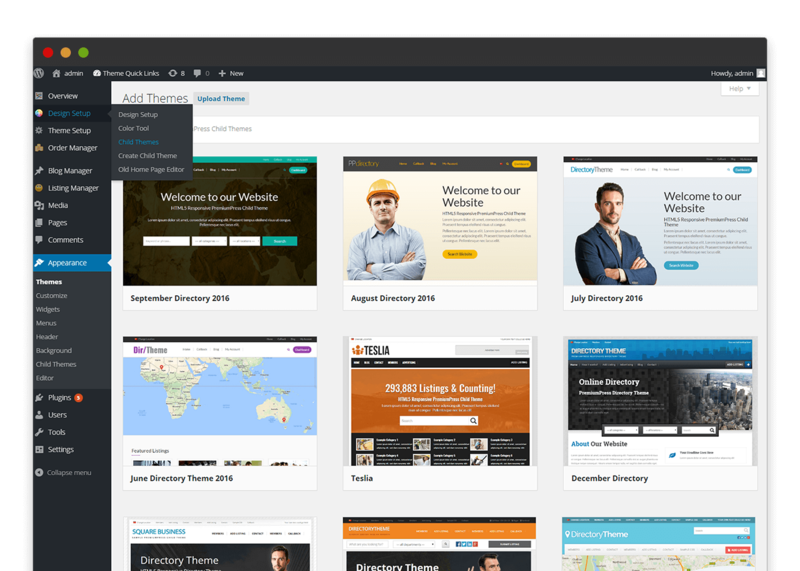 You pick and choose extra designs via the admin area of your website once you've installed your PremiumPress Business theme. You can pick as many as you like and create as many websites as you want! We add new designs and layout variations every week so make sure you join our blog to keep updated on new child theme releases.